Radiation Protection Products’ leaded glass, also called X-ray glass, radiation shielding glass, or lead glass, is a light amber colored glass that is suitable for installation in walls and doors. We offer leaded glass in 1.6mm, 2.0mm, 2.5mm, and 3.2mm efficiencies. 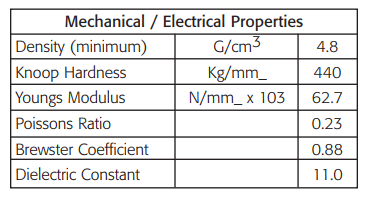 Lead efficiencies are based on 150 kV. Leaded glass with higher equivalencies can be quoted upon request. The shielding characteristics of radiation shielding glass are achieved by its high lead and barium content. This makes the glass, when compared to float glass, more sensitive to chemical reactions from acidic, alkaline substances and water vapor. Lead glass should not be exposed to acid gases, humidity, or strong temperature fluctuations combined with humidity. Our radiation shielding glass is approximately 1/2” thick overall. Custom sizes quoted upon request. RPP’s Category II architectural safety x-ray glass meets Category I and Category II requirements of the Consumer Product Safety Commission (CPSC). Additionally, this product complies with model building code safety standards for human impact performance, as found in section 2703 of SBCCI Standard Building Code and section 5406, Sections 54-2 of ICBO Uniform Building Code. RWB46 radiation protection glass provides a high quality, transparent, protective shield against x-ray radiation in medical, technical, and research applications. Its high content of lead and barium provides optimum shielding against radiation energies generated by equipment in the range of 100-300 kV. RWB46 leaded glass is supplied as polished plates in sizes up to 2,000mm x 1,000mm. Smaller sizes can be cut to customer requirements; all edges are ground with safety chamfers. Different thicknesses are available within the ranges listed and can be quoted upon request. RWB46 can be laminated to meet safety requirements. When installing, care should be taken that the sealing agents do not contain any acid or alkaline substances (acetic acid, ammonia, etc.). Labels may cause staining on the glass surface due to reactions with the adhesives. It is advisable to wear cotton gloves when handling leaded glass to avoid leaving fingerprints. For cleaning difficult stains, use a mild detergent diluted with water to the manufacturer’s recommendations and clean with a soft cotton cloth. Dry surfaces immediately after cleaning with a dry cotton cloth; using a further cotton cloth, clean with isopropyl alcohol as in section. We are North America’s largest distributor of leaded glass, and also offer radiation shielded wall construction materials, radiation shielded doors, and more. Request a quote on X-ray shielding glass, or contact Radiation Protection Products for more information.